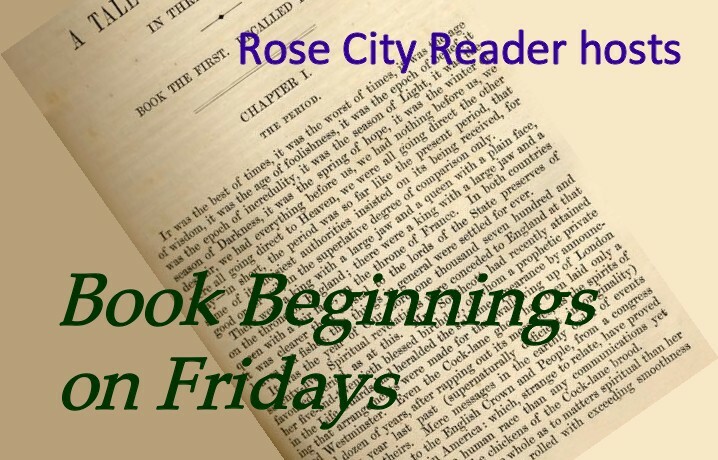 Book Beginnings on Friday at Rose City Reader is the place to share the first sentence (or so) of the book you are reading, along with your initial thoughts about the sentence, impressions of the book, or anything else the opener inspires. My choice this week is from Twilight Hunger (Wings in the Night Series #7) by Maggie Shayne. This has turned into one of my favorite vampire series. "We children were supposed to be asleep…. But we woke, as if in response to some silent summons. We crept to the entrances of our tents and wagons, drawn like moths to the snapping flames of the central fire and the dark, leaping shadows the strange woman cast as she danced." Shayne, Maggie (2010-10-01). Twilight Hunger (Wings in the Night) (p. 7). Harlequin Enterprises. Kindle Edition. Talk about a great opening!!! Just a few sentences in and I was already on the edge of my seat. I like that beginning...the descriptions drew me in. Huh...I've never heard of this series. Sounds good though.